Get Closer With Closeup and Win Big this Season!!! 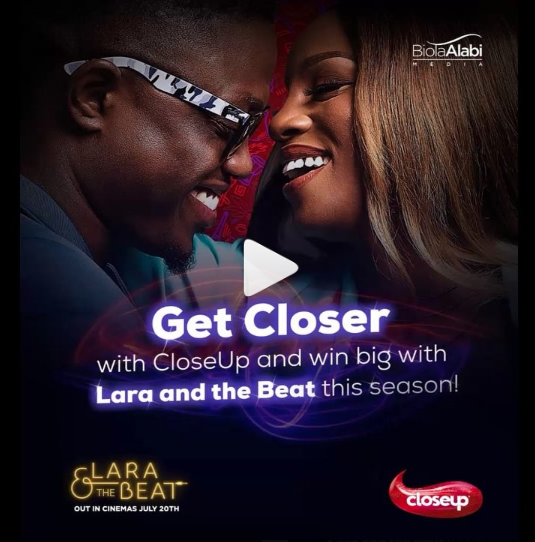 Recreate this image and stand a chance to win a romantic dinner for two and more amazing goodies courtesy of Closeup and #LaraandtheBeat. 1. 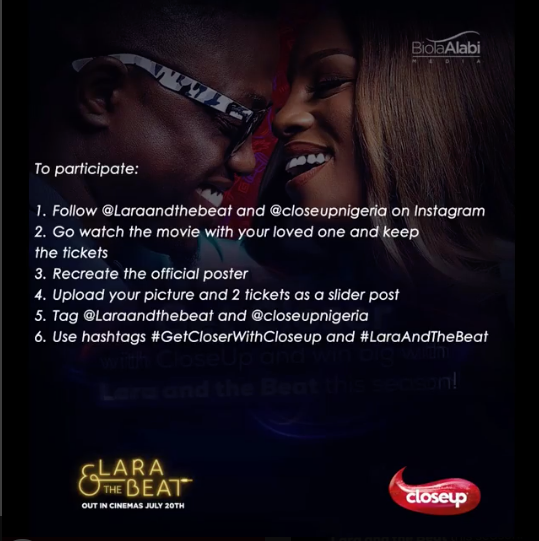 Follow @Laraandthebeat and @closeupnigeria on Instagram. 2. Go watch the movie with your loved ones and keep the tickets. 3. Recreate the official poster. 4. Upload your picture and 2 tickets as a slider Post. Watch the video on Instagram For more Details. Competition closes on August 10th, 2018.